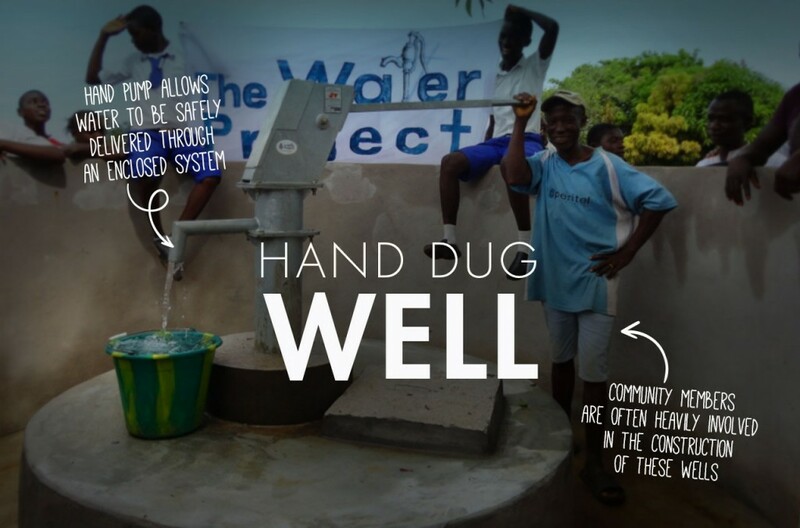 This project is being implemented as part of our shared program with our partner African Sand Dam Foundation, and includes the construction of a shallow well. 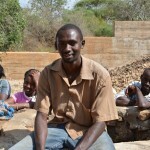 This community has also recently benefited from the construction of a sand dam. See that report here. The group was formed in the year 2014. It has 13 members 9 men and 4 women. 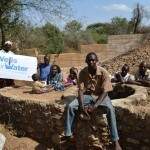 It is located in Mumbuni village with a population of 492 people 240 men and 252 female. The village has 97 households. 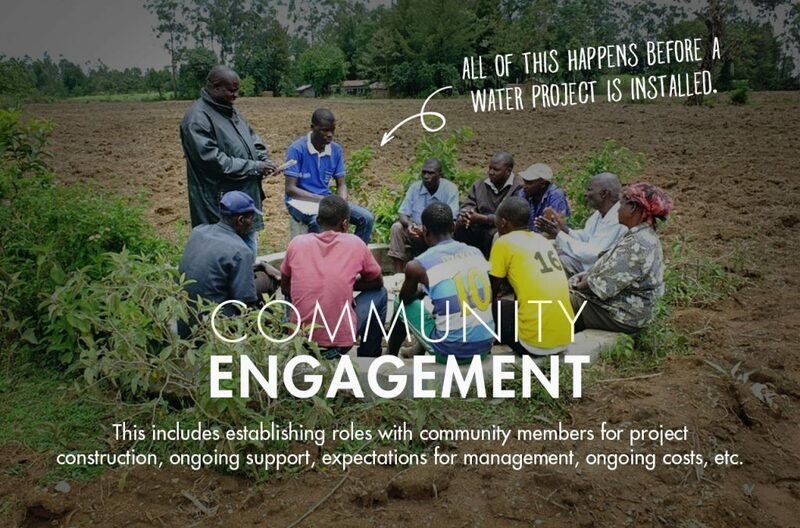 The members came together to form a group in which they would find solutions to water problems that they had. 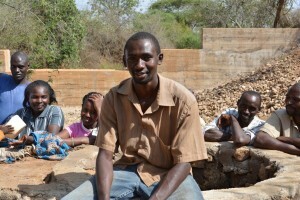 They have previously contributed funds to buy cement to construct a sand dam. They constructed one in 2014 though it is not big and they did not have the knowledge on the sand dam construction. 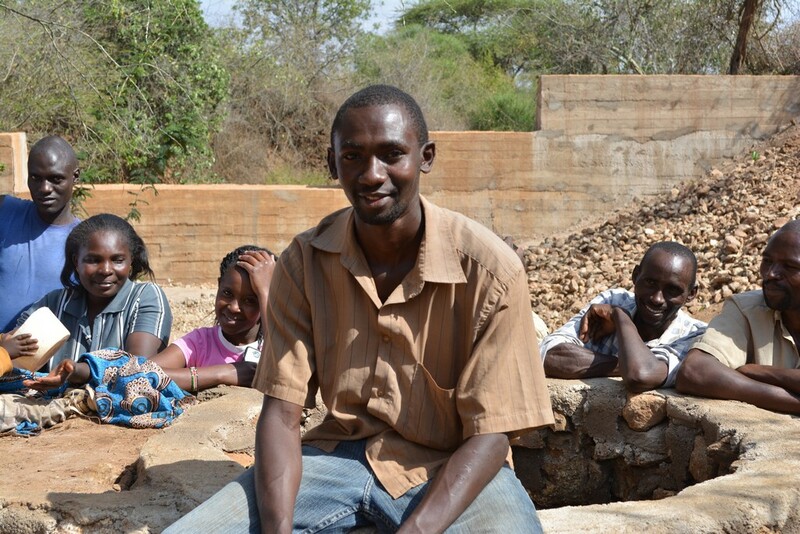 The group members wanted to control soil erosion by digging terraces on their farms. They have a merry go round project (a group loan fund) for which meet frequently. In case a member is not feeling well, they help each other in covering medical expenses. 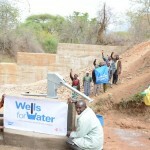 The community gets water from Matoma river which is located less than one kilometer from their homestead during the rainy season. This river is as seasonal river. 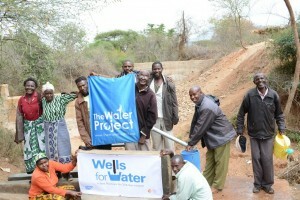 In the dry season they have to find other places to get water. 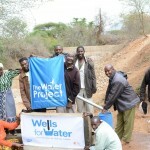 They rely on a borehole water project named Danida where they buy water for 3 Kenyan shillings for 20 liter jerrican. 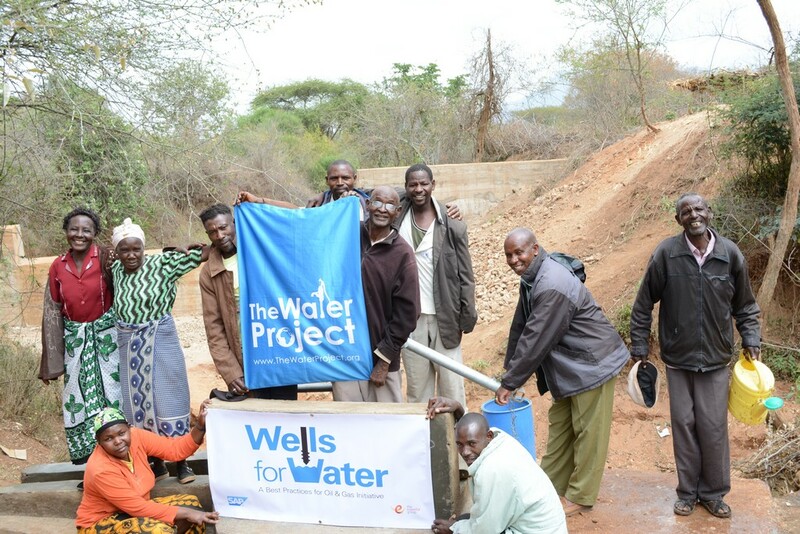 The bore hole is located 2 km from their homes and they all queue for more than 2 hours each day in the dry season to get water. Livestock do not have enough water. This affects their health, decreasing their value in the market place. The members have to buy water and this is expensive. They cannot afford to buy water every day. This makes them have to ration the water that they have. – The home hygiene is affected as one does not have time to do all the domestic chores well. – The women who do not have a donkey they have to borrow one and in return, go for another trip for the owner of the donkey, therefore spending even more time to get water. -Mangoes and citrus fruits do well in the community and are a source of income, but with lack of sufficient water the trees are affected, reducing the crop. 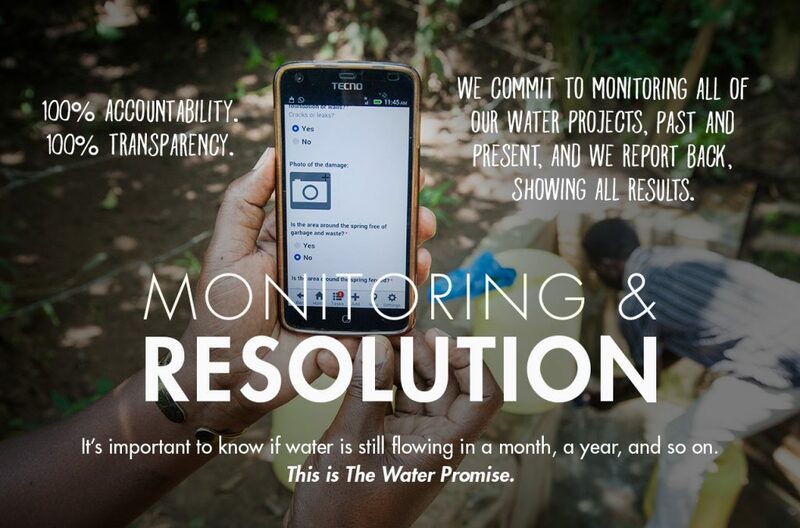 – Time spent in waiting for water leaves less time for farming activities like preparing the farm in time before the rainy season. The average acreage of land under crop production for the community is 2.4 acres. – The rainfall is unreliable and erratic. The showers come and go before the crop have enough hence poor food production. – Lack of quality seed: The members say that they do not have seeds to plant and by the time they get them it is already late to plant. The seed that they buy is not drought tolerant and does not do well. – Lack of manure to fertilize the farms: The members said that they do not know how to make organic fertilizer which would increase the fertility of the land. 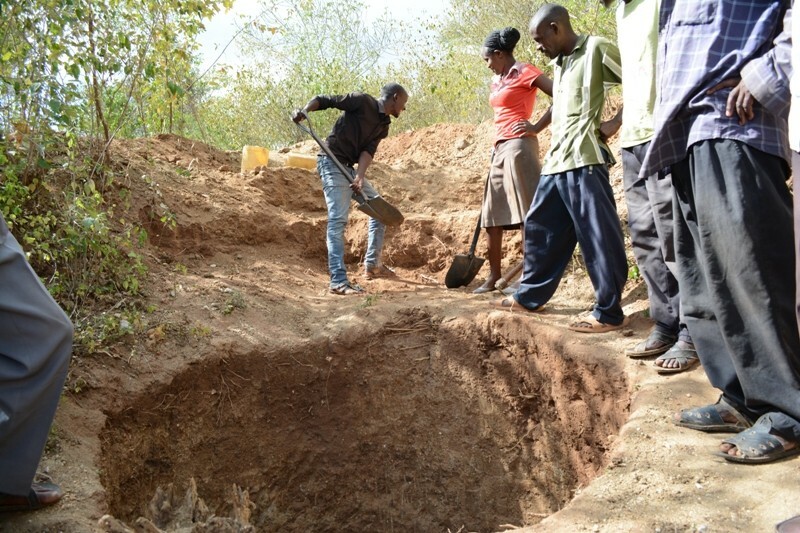 The challenges the group faced in planting of trees was termite infestations, a lack of insecticide control this, a lack of water, and a lack of knowledge about proper tree planting. 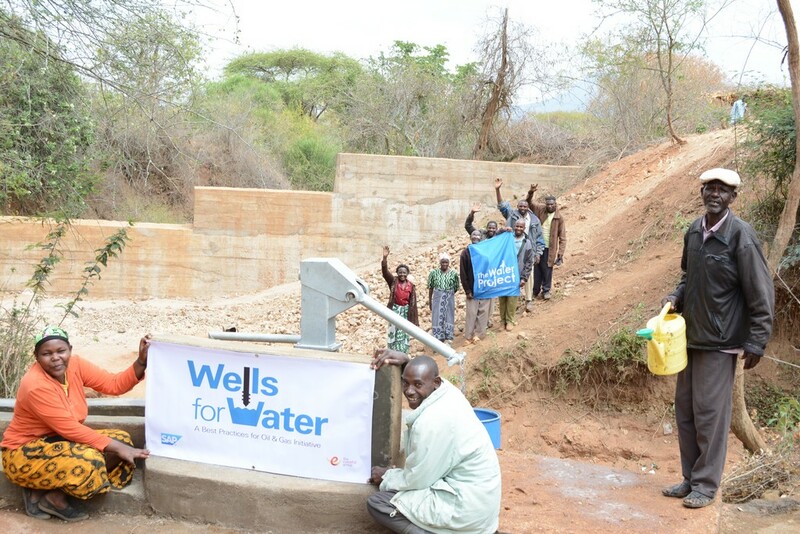 After the completion of a sand dam, other options for bringing water to a community become viable, increasing the access and effectiveness of the new clean water that is present in the sand dam. 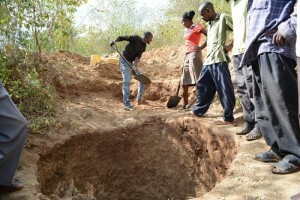 This SHG desired a shallow well to be built next to the new sand dam, thus multiplying their access to the water stored in the wall of sand behind the dam. 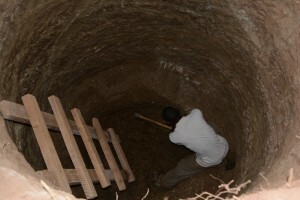 The construction of the shallow well begins with excavation. 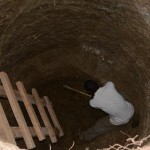 The well must be dug to a sufficient depth below the water table that there is enough water in the well to maintain functionality. 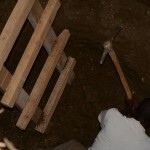 The time to dig the well can vary greatly depending on soil formation. 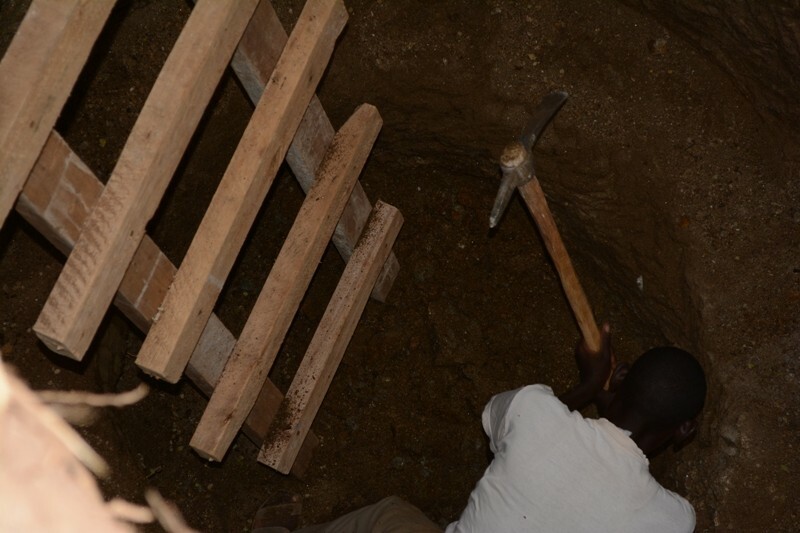 Hard, rocky soil is more difficult to dig through, but soft, sandy soil is less stable and requires extra work to fortify the walls of the well with bricks and cement. Excavation is followed by foundation construction, raising the top of the well high enough to be above the expected water level during heavy rains. 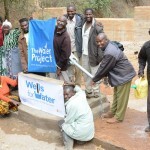 Finally, the well is sealed with a concrete pad and the pump is installed. • Stones for construction had to be taken from a distance of 3 km. H ence the group had to incur transport costs and labor costs which were high for majority of the members. 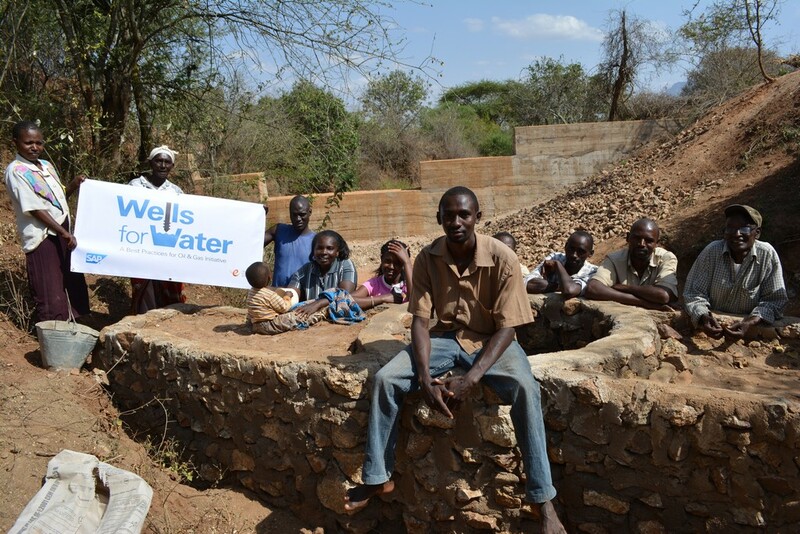 This well is complete, but the community is waiting for seasonal rains to mature the new sand dam, raising the water table, finally making this well a new source of safe, clean water! 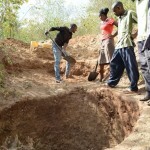 As part of the overall investment in this community, a distribution of seeds and tools will allow farmers to continue farming in the sustainable techniques that were taught to them, such as terracing and planting specific crops that prohibit soil erosion. 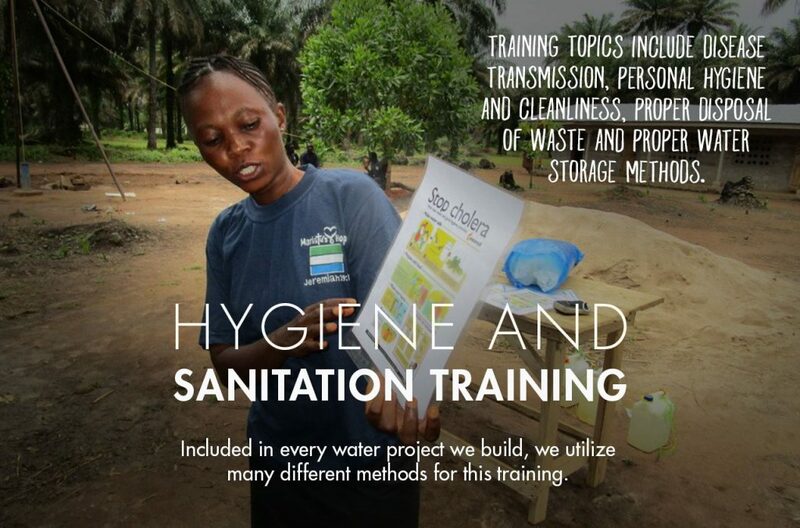 A training on hygiene and sanitation was also conducted amongst the SHG, where participants were taught about proper hygiene techniques, such as hand washing, using latrines and correct storage of water in the home. Sixty five members of the community participated in this aspect of the project, 48 males and 17 females . 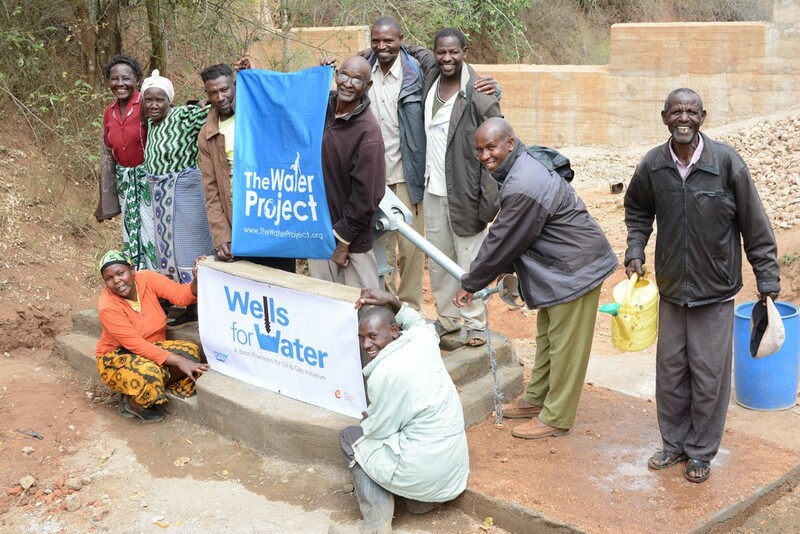 We are excited to report that a new shallow well has been built for Matoma Nyuma Kumi Self Help Group in Kenya. We just posted a report including information about the community, GPS coordinates, video, and pictures. 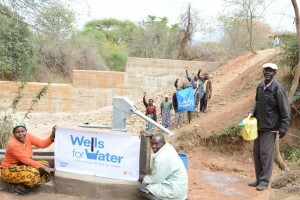 The only images we are waiting will show clean water flowing from the well. For this, we will have to wait for the new sand dam at the same location to mature with the fall rainy season. We’ll let you know as soon as we receive them.